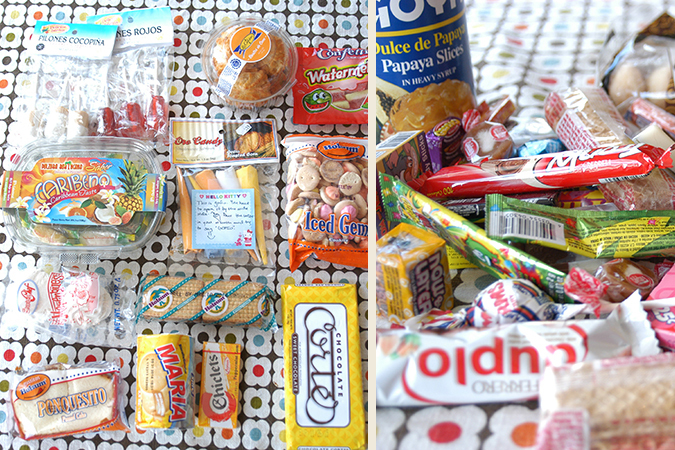 I have been down and out with some sort of stomach flu, but wanted to get some photos from the candy swap posted. I have been getting emails and links from swappers-so it looks like almost everyone has received theirs now. My amazing package came from Iris Yadira Rivera who lives in Puerto Rico. You can see she went completely overboard, what an amazing assortment of fun candy! I haven’t been able to try any of it yet, because I wanted to get photos first, and then I got sick. But I am looking forward to it! If yours is not listed above, please leave a comment and I’ll add it! :) But for now I am back to laying around drinking ginger tea and some plain rice….exciting time! With the snow day after snow day around here, I thought it might be fun to host a regional candy swap. 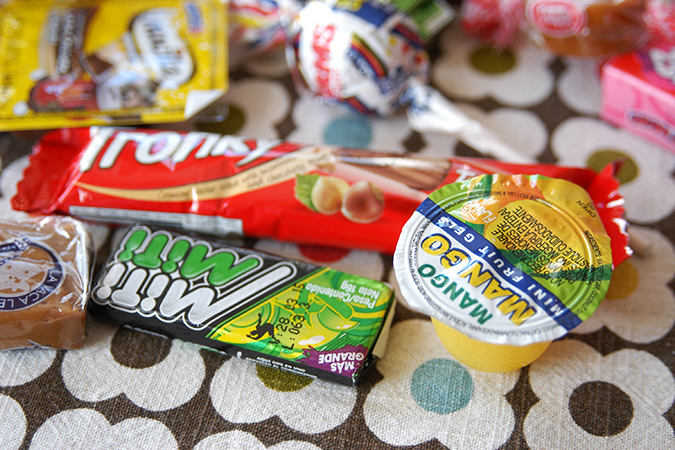 Brighten up your mail box and maybe fall in love with a candy you’ve never even heard of! Please read all the instructions before signing up! For now this swap will be limited to people living in the USA (just to see how it goes with shipping & tracking) But eventually I think it would be fun to try an international swap. 1. I will match you up with a partner in a different part of the USA. You will be sending & receiving from the same person. Do not sign up if you will not be able to send for any reason. Only sign up if you are completely sure you will fulfill your end of the swap. We wouldn’t want anyone left out. I will close the sign up form once I reach twenty people, just to keep it manageable this time around. 2. For now you must have a website or active blog to sign up. This is just so there is some accountability. I ask that everyone make a post with what they receive and I’ll compile links to all the posts on another blog entry. It will be fun to see what people send and receive! 3. 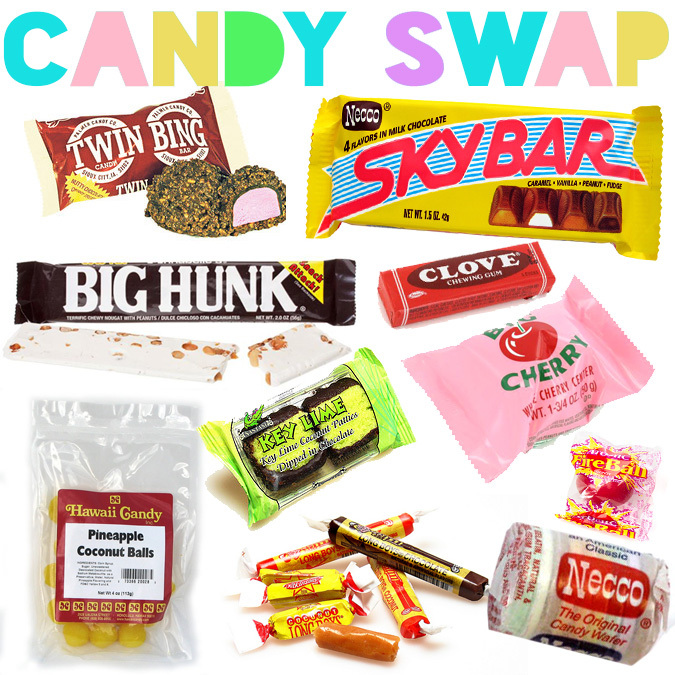 Okay for the swap, you must be willing to buy at least $15 worth of regional,fun, or unusual candy package it up and mail with delivery confirmation. You don’t have to send priority mail, but your package must have a tracking number. 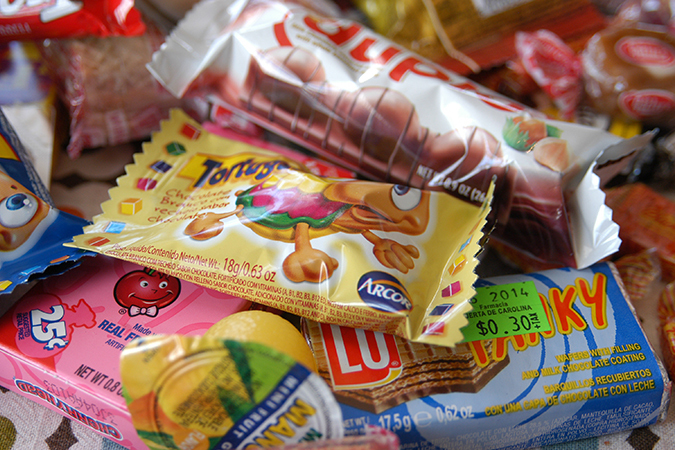 Try to think about candy that can usually only be found in the area you live. I will send you an email in a couple of days with your partner’s state and email-then you contact one another for addresses, and discuses any allergies or dietary restrictions. Packages must be mailed out by March 1st, and tracking number emailed to your partner by March 1st. Okay this round is closed!